I want to get married all over again just so I could be a princess in this for a day...but I would never want to take it off! How pretty! 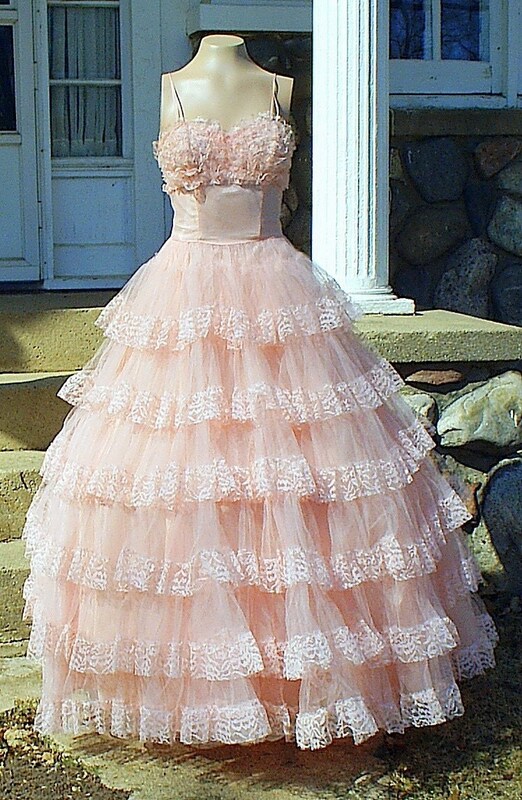 And I think dresses similar to this are coming back into fashion. I would wear it around the house too! With my tiara from my wedding LOL ~ it's gorgeous!!! I too can see why you'd want to wear it. It's beautiful. How fun! That would be a fun dress to have some funky portraits taken in! WoW! It's adorable! I would also like to get married immediately! Just give this dress to me. It would fit me perfectly. Pink is my favourite colour. Oh..why haven't my dear proposed to me yet.